Other Caption slip reads: "Photographer: Glickman. Date: 1957-05-21. Assignment: Annual report. Special instructions: Negs. to Mrs. Richardson -- Sunland Municipal building. 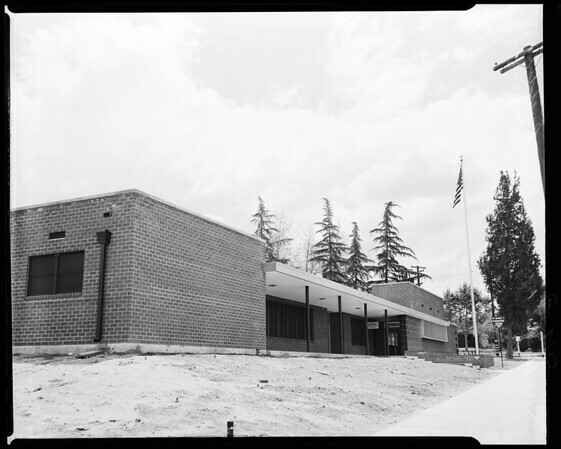 G212/213/214/215: Views of the New Sunland-Tujunga Municipal Building, 7747 Foothill Blvd., Tujunga".